Do not drive so that your speed stirs up dust on the range. Range speed limit is 10 MPH on all DSRPC property (compliance with Clark County dust control policies). You may be asked to leave if you speed. All members and all guests must show photo ID and sign in when entering the facility. Members must show proof of membership when entering the range or when asked by a Range Safety Officer. Guests must remain with members at all times . Members are wholly responsible for their guests. Limit is 4 guests per visit, with a guest fee of $5 per person. Immediate family members do not pay a fee. Immediate family member’s are defined as the members mother, father, sisters, brothers, spouse and children. Follow instructions of Range Safety Officer (RSO). If an RSO makes a request, comply immediately without argument. Failure to do so may result in expulsion from the range, membership suspension and/ or termination. 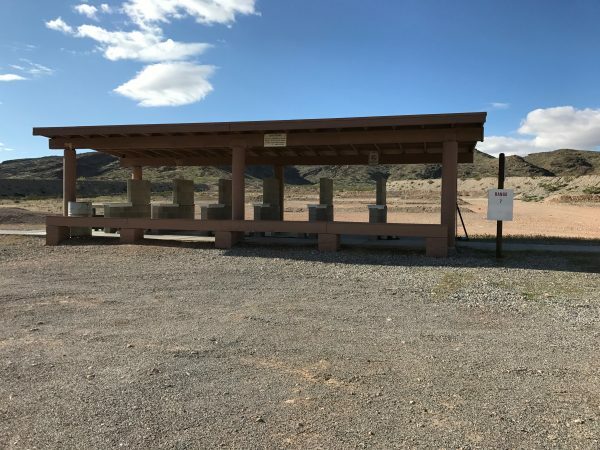 It is the member’s responsibility to read the announcements on front page of the website at dsrpc.org and to check the event calendar for range closures and information relevant to range use. No .50 BMG, steel core or incendiary ammo may be used anywhere on the range. Possession of such ammo on Club property may lead to termination from the Club. Eye and ear protection is mandatory on all ranges. Approved target backings: paper, cardboard or coroplast ONLY. Use only paper or steel targets. Self healing targets are allowed on Ranges 2 and 10. All other targets are prohibited, including but not limited to: glass, cans, plastic, bowling pins, bowling balls, trash cans, bouncing targets, rock filled bottles, water filled bottles, eggs, exploding targets and clay pigeons. Assist in maintaining safety and regulatory policies. Please be courteous to other members and guests when giving or receiving safety advice. You are required to clean up the range after use. Place all trash in trash cans. Pick up empty shell casings. Magnetic devices are available at the Gate House. You may deposit unwanted casings at the Gate House or designated brass buckets. DSRPC may need to close a range at any time. Upon entry, members are required to check at the gate- house for closures. Unless stated in range specific rules, side berms and walls are for safety and are not to be used as impact berms. Do not walk on the berms. Inspect blind spots/areas downrange prior to use. Unauthorized persons are not allowed to use DSRPC targets or props located at or around conex/shipping containers. DSRPC property shall not be used for private or commercial business purposes of any kind. Your membership will be terminated if you do. 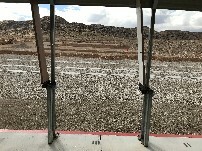 The range, on the morning of the first Saturday of each month, will be closed for clean up, construction and maintenance. Consult event calendar for times. Anyone observing or involved in an accident or injury will notify range safety personnel as soon as possible. If it is a life threatening situation, immediately call 911. Each observer and accident victim will submit a report to range safety personnel as soon as possible. 1. In event of a medical incident/accident, on-scene individuals shall provide appropriate medical assistance if trained to do so. 2. Contact Emergency Services, if required, promptly. 3. Notify DSRPC RSO as soon as practical. A first aid and trauma kit is available at the DSRPC Gate House. It is the shooters responsibility to determine range condition before firearms are removed from vehicles. Cold Range begins with the command “The range is cold” followed by “Unload all firearms,” at which time shooters will unload their firearms, open actions, remove detachable magazines, insert empty chamber indicator flags, place their firearms on the shooting table and move behind the yellow line or 5 feet behind the firing line when there is no yellow line. No firearms may be handled during a cold range condition. This includes firearms on the shooting tables, rifle racks, inside open carrying cases, holsters or any other location. No one handles a firearm for any reason. All shooters on the range must check and confirm their firearms are in a safe condition before anyone moves forward of the firing line. On command “The firing line is safe,” shooters may go downrange to service targets, pick up brass in front of the firing line, and move equipment to and from vehicles. All firearms previously cased, closed and placed behind the yellow line may be moved to and from vehicles. All equipment (i.e. targets, staplers, water bottles, etc.) needed during a cold line time should be stored behind the yellow line. When moving from behind the yellow line to down-range, shooters will not touch anything on the tables forward of the yellow line. Shooters will not wait or stand in the area between the firing line and the yellow line. Hot Range is when firearms may be handled and/or fired on the firing line. 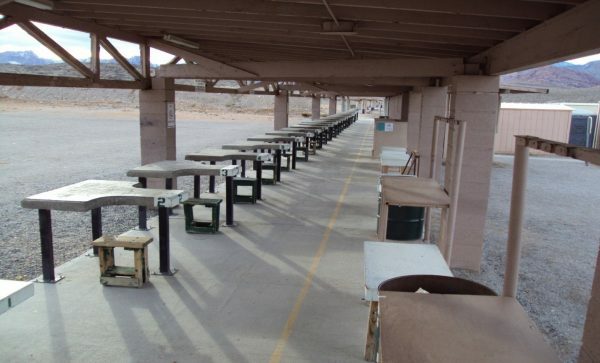 Shooters will not go forward of the firing line for any reason during a hot range condition. Before a range goes “hot” all shooters must be behind the yellow line, or 5 feet behind the firing line where there is no yellow line. To ensure there is no one down range, the command “Is anyone down range?” is repeated at least twice. Double check for anyone downrange. On command “Range is hot,” shooters may move forward of the yellow line. Shooters may uncase their firearms at this time but only at the firing line. Uncased firearms may only be removed from vehicles in a safe condition (i.e. action open, detachable magazines removed and empty chamber indicators inserted). 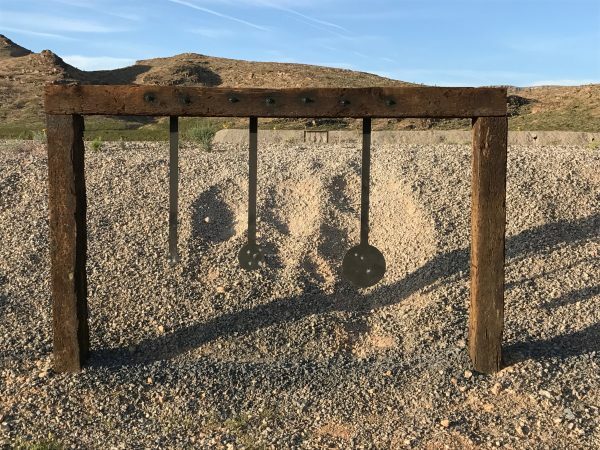 In addition, and in this condition, uncased firearms may only be removed from a vehicle and transported to the firing line when the range is “hot”. Always keep muzzles pointed in a safe direction. If a firearm is to be cleaned while on a range, the firearm will only be cleaned while the range is hot. 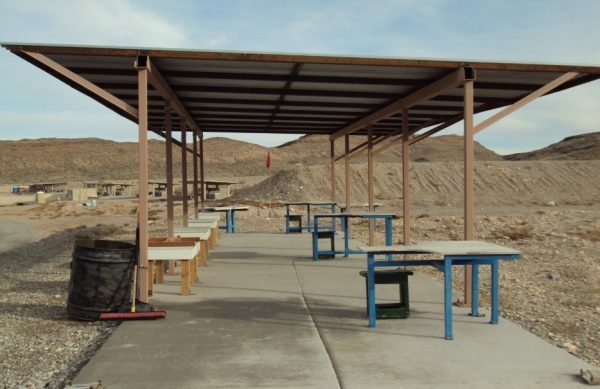 All firearms will be cased and uncased at the firing line table only on any range that has a table to shoot from, this includes on range #3, 4, 5, 6, 7 and 9. • Stealing of club property, not returning club property when requested • Policy Violation • Termination of membership. • Unsportsmanlike behavior, arguing, fighting • Policy Violation • This violation will be referred to the E- Board for disciplinary action. • Teaching, training, coaching for profit • Policy Violation • Termination of membership. • Using alcohol and/or drugs • Policy and Safety • This violation will be referred to the E- Board for disciplinary action. • Failure to follow instruction advised by the RSO as outlined in the site specific and safety rules • Safety Violation • This violation will be referred to the E- Board for disciplinary action. • Dependent or guest being unsafe • Safety Violation • This violation will be referred to the E- Board for disciplinary action. • Allowing unauthorized person to use the property • Safety Violation • Termination of membership. • Significant bylaw violation • Procedural Violation • This violation will be referred to the E- Board for disciplinary action. There have been several memberships terminated as a result of not following the rules! Please do not be one! 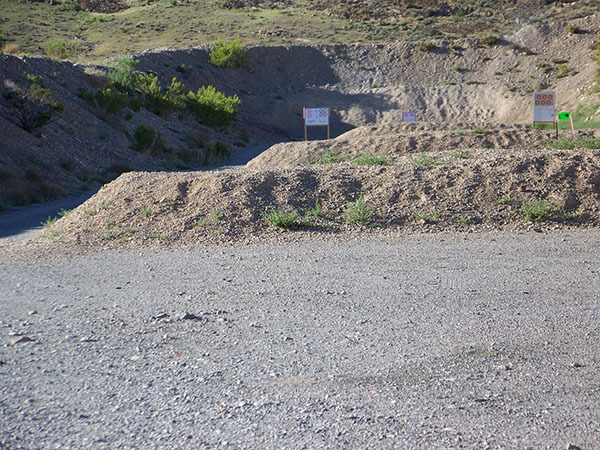 There are no dumb questions when it comes to range safety! Shooting Distances • Open area to shotgun birdshot distances. General Range Procedures • Primitive area located at the South end of the Range 2 road. • Shooting will take place in the designated area facing towards the Southwest between the orange shooting boundary markers. • Shooting over any berms is prohibited. 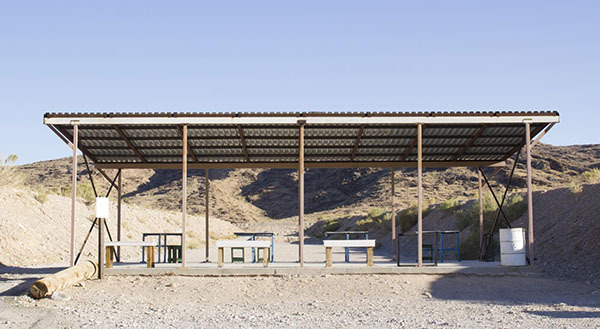 • The firing line must be established within the designated shooting position area. Allowed Firearms and Ammunition • Shot guns 12 gauge or smaller. Shotgun ammunition will be 7 ½ gauge or smaller. Allowed Targets and Target Placement • Biodegradable clay pigeons only. • No unauthorized targets. (See the Standard Operating Procedures). Allowed Equipment • Hand or mechanical clay pigeon throwers. Restricted Firearms • 10 gauge shotguns are prohibited. Restricted Equipment • Shot larger than 7 ½. Shooting Distances • 45-50 yards depending on the length of the bay. 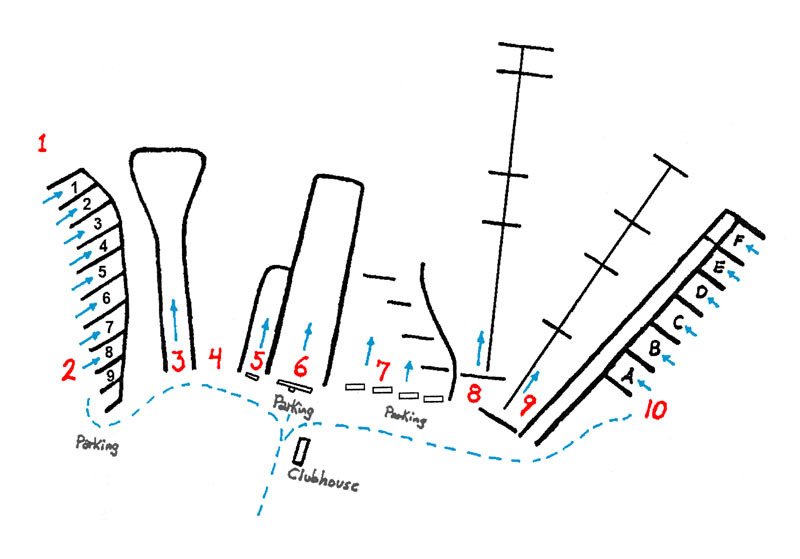 General Range Procedures • Firing line may be established at any distance from the back berm inside the bay. • Bays 9 and 10 are closed at this time. 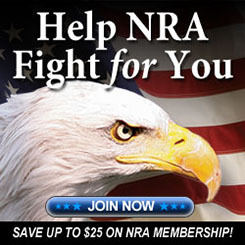 Allowed Firearms and Ammunition • Handguns, rifles, shotguns, sub-machine*guns, and black powder firearms. All calibers of ammunition allowed except 50BMG. Allowed Targets and Target Placement • Paper, steel and self-healing targets. • Allowed target backing is paper, cardboard or Coroplast. • All targets must be placed in a position where all rounds impact an approved berm. Approved berms are the back berm and the first 20 yards of the left side berm starting from the back berm. • All rounds must impact the back berm or the designated left side berm only between 2*feet and 6 feet in height from the ground. Allowed Equipment • Chronographs are permitted. Restricted Equipment • You may not use PVC for target stands. Shooting Distances • 100, 150, 200, 250, 300 and 400 yards. General Range Procedures • Use Hot and Cold Range Procedures. • The firing line is the RED line under the covered deck. You may not go beyond the RED line or covered deck to shoot. • Do not walk on the berms. Allowed Firearms and Ammunition • Rifles. All calibers of ammunition for rifles and black powder rifles except 50BMG. Allowed Targets and Target Placement • Paper and steel targets. • Targets must be placed behind the intermediate berms. • All targets must be at least 30 inches above the ground. • Side berms are used for safety and not as impact berms. Restricted Firearms • No 50 BMG. Shooting Distances • 7, 10, 15, 25, 50, 100 and 200 yards. • Targets must be placed in the concrete target slips. 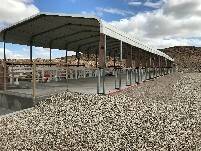 • The lower concrete pad is for loading and unloading only. Parking is across the road to the North. • No personal vehicles allowed down range. Allowed Firearms and Ammunition • Handguns only. • All calibers of ammunition for handguns. Allowed Targets and Target Placement • Paper targets only. • Targets must be placed behind the intermediate berms in the concrete slips. Allowed Equipment • Chronographs designed to be placed on the shooting table are permitted. • Chronographs in front of the firing line are prohibited. Shooting Distances • 25, 50, 75, 100, 150 and 200 yards. Allowed Firearms and Ammunition • Rifles and shot guns (Slug Only). All calibers of ammunition for rifles and black powder rifles except 50BMG. Shotguns using only slugs. Shooting Distances • 25, 50, 100, 200, 300 and 400 yards. • Disabled members have priority on tables #9 and #10. Allowed Firearms and Ammunition • Handguns, rifles, black powder firearms and shotguns (Slug Only). All calibers of ammunition for handguns, rifles and black powder firearms except 50BMG. Shotguns using only slugs. • Targets must be placed behind the intermediate berms in the concrete slips. There are no intermediate berm at 25 yards. Shooting Distances • 25, 40, 50, 75, 150, 165, 200 and 212 yards. • All 4 shooting stations are considered together as Range 7. Hot and cold range procedures will be applied to all 4 stations together and at the same time. All 4 stations will either be Hot or Cold at the same time. • Disabled members have priority on tables. Allowed Firearms and Ammunition • 22lr only for use on targets and frames painted red. 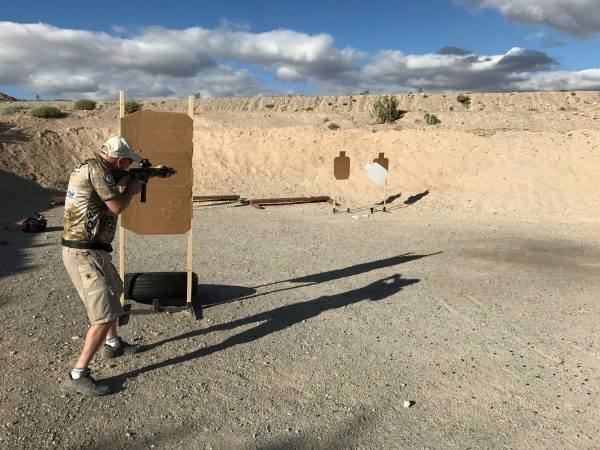 • Match competitors with keys to locked down targets may shoot at those targets with their appropriate firearms. • Targets must be placed in front of the intermediate berms. • All rounds must impact a berm. Shooting Distances • 100, 150, 224, 333, 425, 550, 646, 797 AND 870 yards. flag when the range is COLD. • No rapid firing exceeding one shot per 3 seconds. Allowed Firearms and Ammunition • All non-magnum calibers of centerfire and black powder rifles. Restricted Firearms • No 50 BMG, 22lr firearms allowed. No handguns allowed. • Bays A, B and C are divided into 3 sub-bays each. Be careful when driving into the sub-bays. • Disabled persons have priority on bay 3C. • Bays 1 and 2 are closed at this time. • All targets must be placed in a position where all rounds impact the back berm.